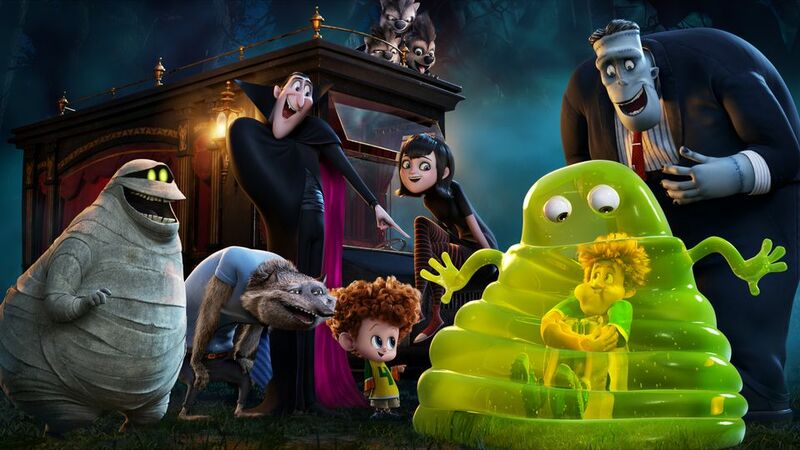 Hotel Transylvania 2: Now that Dracula (Adam Sandler) has opened the Hotel Transylvania's doors to humans, things are changing for the better; however, Drac is secretly worried that his half-human grandson, Dennis, isn't showing his vampire side. So, while Mavis and Johnny are away, Drac enlists his friends to help him put the boy through a "monster-in-training" boot camp. But things really get batty when Drac's cantankerous, old-school dad (Mel Brooks) pays an unexpected visit. There isn't much that needs to be said here. This is a solid follow up to Hotel Transylvania with all the funny characters returning plus some new additions for this go-around. The movie will make you laugh and your kids will laugh too. The movie does what it is meant to do and that is entertain young viewers with classic horror characters in a way that doesn't scare them half to death. Obviously the point of the film is lost on sites like Variety and A.V. Club who were expecting Trainspotting and instead got a kids movie. It's a kids movie and not meant for adults, it's so your children can have a good time, while being exposed to the classic monsters of literature and film. If you have kids and want to spend time with them, then this is the movie to take them to see. If you don't have kids, but just want to see a funny animated movie and don't have stupid expectations of this being cinema verite, then see the movie.